For over ten years, I have passionately captured the warmest moments in brides and grooms lives through creative wedding photography in New England. It’s my pleasure to be with you on your wedding day. My artistic and creative touch will enhance the best day of your life. Let me introduce myself, I’m Giovanni The Photographer and I want to blow you away with every photo I take at your wedding. I wish you could see and feel what I do from behind my camera. I get to watch fairytales unfold. When I capture the love on your face as you walk down the isle the first time your eyes meet your fiancé it brings a tear to my eye. To see the pride and love on your face during that moment takes my breath away. There is something so captivating about a couple in love. To be able to document the happiest day of your life is part of what makes being a wedding photographer so magical. Think about it, out of the billions of people in the world the two of you have chosen to spend the rest of your life together. 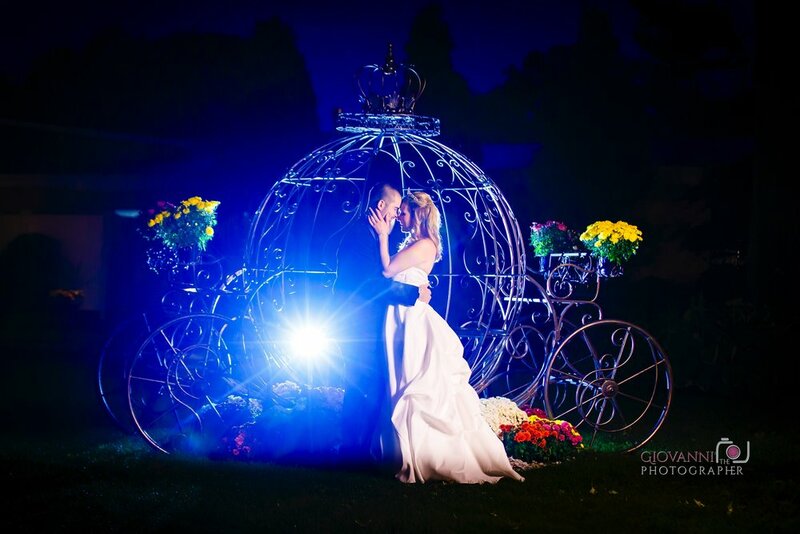 Read more below to uncover the best wedding photographer in New England. The first thing I like to do is get a clear understanding of who you are as a couple and what you are looking for in a wedding photographer. It’s essential that I really get to know the two of you by learning how you met, how long you have been together, and what types of things you like to do. One might think that this doesn’t have anything to do with wedding photography but believe me when I tell you, it does. In order for me to truly capture the beauty at your wedding I need the whole story to understand the magnificence in it. Anyone can pick up a camera and snap a picture but it’s the passion behind my lense, which allows me to showcase your unique beauty, life, and love in all of my work. Think about it, you spent so much time selecting all of your fabulous details such as your dress, shoes, flowers and so on, getting to know you better allows me to tell your story through your amazing photos. My process starts when I invite the two of you to my gallery in Braintree MA where my products are on display. When we first meet in person we’ll discuss what you are looking for from your wedding photographer. Once I have this understanding, we’ll go over my services while looking at my past work. Whether it’s a classic canvas print, an acrylic glass portrait, metal print, or elegant Italian leather bound wedding album, the two of you will be able to see the high quality products that will be viewed in your home for a lifetime. Over the years I have been blessed to work with so many different cultures and religions capturing intimate weddings as well as elaborate 500+ guest weddings. Through years of experience I know that building a personal foundation with you is an unparalleled tool in our success working together. Once we have decided that we are a good fit, the fun begins. I strongly encourage all of my couples to schedule an engagement session before the big day. That time we spend together allows you to understand my process, and photography techniques. I’ll walk the two of you through how to pose and provide tips on how to look your absolute best on your wedding date. For example, angles in a photo make it far more interesting. If you look at a photo of a person in a symmetrical pose it’s a little boring whereas an asymmetrical pose is far more pleasing to the eye. I will help you make this look effortless and natural vs. staged. Another technique I like to use is turtling, where you stick your neck out to eliminate the appearance of a double chin or wrinkles under your neck. This may be awkward for some at first, but when you see the difference in your photographs you will be thrilled to have mastered this technique before your wedding day. I will also be showing you one of my favorite poses, the “almost kiss.” This pose gives the elusion of a kiss while still being able to see your faces. An “almost kiss” is a far more eye pleasing photograph than an actual full on kiss. I have found that doing an engagement shoot helps you immensely by reducing the stress on your big day. Can you imagine walking through all of these instructions and techniques for the first time on your wedding day? Trust me, it can be done but practice makes perfect. The couples’ engagement session provides a sense of security that lets you know you picked the right wedding photographer for your special day. If you do not choose to have an engagement session before your wedding day, I typically step in to give physical directions or have my assistant perform the pose. Either way, you can trust that I will capture incredible warm moments! Prior to every photo shoot, I like to visit the location to walk around and find the best locations that speak to you and me. I take into consideration the landscaping, architecture and time of day as it determines the position of the sun and the shadows it creates. The smallest details don’t go unnoticed. The personal connection that we established through our in person meeting helps me to capture the magic! Once you have chosen me to be your wedding photographer I make every effort to ensure that your whole experience is amazing. Prior to the wedding day, I like to speak with you again to go over vital details and create a wedding day timeline. Before the wedding, I will canvas the venue for the best locations for your wedding photos. Then the fun and excitement begins! My assistant and I check in with the two of you and collect your items for your detail shots. Typically your detail shots would include your wedding gown, engagement ring, wedding bands and accessories such as jewelry, veil, watch, shoes, etc. After the detail shots, I capture you getting her hair and make up done. It’s these detail shots that make your wedding album complete and bring you back to that exact moment when you flip through the first few pages. This is usually followed by some shots of your fiancé getting ready with his best man or father helping him with his tie, cufflinks, and jacket. Once these photographs are taken I typically capture any shots of the groomsmen that have been requested by you and laid out in your custom wedding day timeline. Understandably everything can’t always be planned down to the exact minute but I find that by assuming the role of the timeline keeper I can help keep this process moving progressively. This especially helps minimize the stress for the two of you. The day is about you; I am here to photograph it and my job is to make sure that I get as many amazing photos as possible. Once the groom and groomsmen’s photos have been captured, I head back to the bridal suite. You can choose all different types of wedding photos. Some brides like to do matching robe shots with their bridal party prior to getting dressed; some give or receive gifts from their bridesmaids, etc. These shots are taken during the allotted time typically followed by some shots of you getting dressed, your mother or maid of honor helping you put on jewelry and zipping or buttoning up the back of your wedding gown. Once these shots are taken I move onto photos of you and your bridal party in a variety of group, candid, and individual shots. The wedding day timeline goes on from there. Each portion of your special day is planned the way you would like; Taking the time to make these decisions prior to your wedding day allows for you to relax and enjoy yourself.